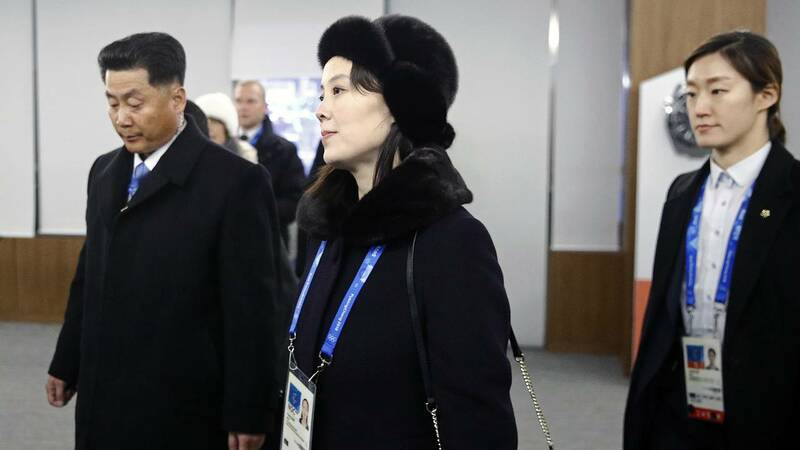 Kim Yo Jong, center, sister of North Korean leader Kim Jong Un, departs following the opening ceremony of the PyeongChang 2018 Winter Olympic Games at PyeongChang Olympic Stadium on February 9, 2018 in Pyeongchang-gun, South Korea. SEOUL (CNN) - South Korean President Moon Jae-in is sending a high-level delegation Monday that includes his spy chief and top security adviser for talks in North Korea's capital of Pyongyang. The 10-member group will focus on inter-Korean relations and establishing conditions for a US-North Korean dialogue on the denuclearization of the Korean Peninsula, South Korea's Blue House said in a statement. National Security Chief Chung Eui-yong will lead the 10-member delegation, spokesman Yoon Young-chan said. The delegation includes national intelligence service chief, Suh Hoon; vice minister of unification, Chun Hae-sung; deputy director of the national intelligence service, Kim Sang-gyun; and deputy director of the Blue House, Yun Gyeong-young. The delegation will fly into Pyongyang on a special flight Monday afternoon, and stay for one night. After returning to Seoul for a debriefing, the delegation will travel to the United States to advise on the outcome of their visit to Pyongyang, Yoon said. Pyongyang tested a new missile on November 28 that flew higher and farther than any previous launch, and bragged afterward that its new Hwasong-15 could deliver nuclear warheads anywhere in the US. CIA Director Mike Pompeo recently noted that North Korea could be just a few months away from achieving the goal of putting a warhead on a missile that could reach the US. The US has said it would be willing to meet with North Korea but has always insisted that Pyongyang eventually abandon its nuclear weapons program as part of any talks. Last Thursday, US President Donald Trump spoke with President Moon, according to a White House readout of the call. It stated that the two leaders "noted their firm position that any dialogue with North Korea must be conducted with the explicit and unwavering goal of complete, verifiable, and irreversible denuclearization." In a speech at the Gridiron Club Dinner on Saturday night, Trump said North Korea recently reached out about possible talks. "They called up a couple of days ago and said, 'We would like to talk,'" Trump said. "And I said, 'So would we, but you have to de-nuke. You have to de-nuke.' So let's see what happens. Let's see what happens."